MAXC stands for Multiple Access Xerox Computer and was a clone of a DEC PDP-10 timesharing system built in-house at Xerox PARC in the early 1970s. 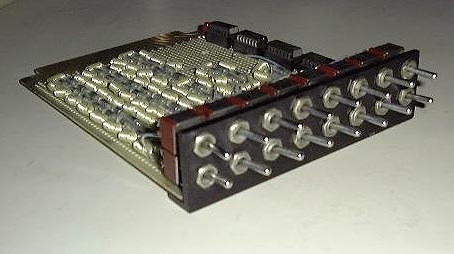 This was the first computer constructed at PARC. In 1984 the MAXC was decomissioned and taken apart, people picking out parts to bring home. Some of those parts are now housed at the DigiBarn. 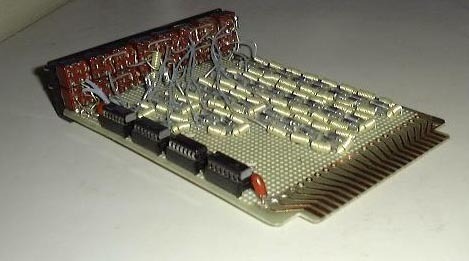 The systems (two were built) were actually called MAXC but pronounced "Max". The story of how and why they were built is in the Dealers of Lightening book -- they happened because Xerox had recently bought a computer company (SDS/XDS) and would not let PARC buy PDP-10s from DEC. The card pictured below was called a "clock" card. 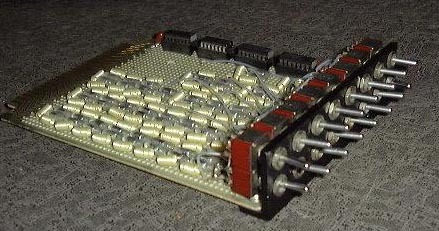 I didn't follow hardware too much in those days, but the coils and capacitors make delay lines. I assume the net result was to generate a multiphase clock with the switches used to adjust the phasing. The best working combination of switches at any time was documented by taking a Polaroid photo and posting it in the machine room. 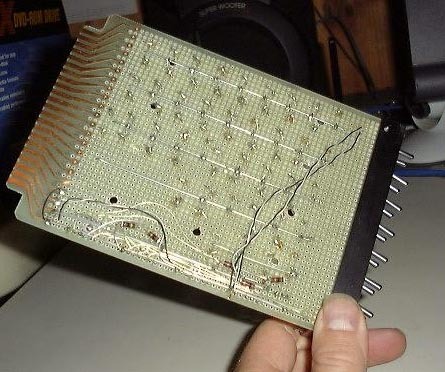 The following two boards, also from the MAXC at Xerox PARC, were donated by Bill Jackson. Know anything more about the MAXC or the Xerox and Xerox PARC experience? Contact us!